With Billy Graham’s passing, critics claim stadium evangelism has gone away. 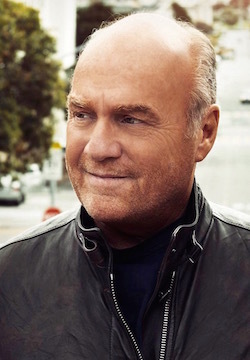 Pastor Greg Laurie of Harvest America says speaking the gospel is always relevant. On June 10, Harvest America led by Pastor Greg Laurie will return to AT&T Stadium featuring Switchfoot, Chris Tomlin and other music artists. Harvest Ministries previously hosted a large-scale event at the venue on March 6, 2016. Thousands of churches nationwide have been mobilizing what organizers expect to be the largest evangelistic event in U.S. history. On Sunday, June 10, Pastor Greg Laurie will spearhead the Harvest America live event at AT&T Stadium in Arlington, Texas — home of the NFL’s Dallas Cowboys. UPDATE: CBN News provides a recap of the event in video below. The Stream: What is the vision for this Harvest America rally at one of the nation’s biggest NFL stadiums? Though churches have theological distinctions, we have a lot more in common as the Body of Christ. We believe that Jesus died on the cross for our sins and that he rose again from the dead. We believe if we turn from our sins and put our faith in him, we can be forgiven, begin a relationship with God, and go to heaven when we die. Finally, the one message we preach is the Gospel that we all believe. By using modern technology, we’re able to take this same service taking place live at AT&T Stadium and bring it into church sanctuaries, movie theaters and other venues all around the U.S. and the world. Laurie: If God decides to change the Bible, then we can change our approach to these things. Since the Bible will never change, there will always be a place for what I like to call proclamation evangelism — that is, speaking the gospel. God has primarily chosen to reach nonbelievers through the verbal articulation of the Gospel. Scripture asks, How will they hear unless someone tells them? And how can someone tell them unless they are sent? When it’s all said and done, when God wanted to reach this world, he gave us a book and a message, and he told us to proclaim that message. We may use new platforms of technology, but some things will never change. In the first century, their “cutting-edge tech” would be the Roman road system and a common language. Because the power of Rome had conquered a good part of the planet, their road system opened up the world. Secondly, Greek had been established as a common language. The apostles walked across those Roman roads and brought the Gospel in that language to people who had never heard it before. Today, we have other forms of technology — everything from print media to websites, from radio to social media. It gives us an opportunity to go where people are. Jesus did not say that the whole world should go to church. He said the Church should go to the whole world, and this is our way of doing that. By using media, it’s almost like we’re staging ten crusades in one day. The Stream: You speak of diverse streams in Christianity, which your church reflects. You recently became affiliated with the Southern Baptist Convention (SBC), while keeping historic ties to Calvary Chapel. Why the change? Laurie: There is not as big a difference between the SBC and Calvary Chapel as people might think. Calvary Chapel has always been conservatively charismatic. There has always been an emphasis on expository teaching and preaching, with an openness to the leading and empowerment of the Holy Spirit. I believe that is the emphasis of the SBC as well, though it depends on what SBC or Calvary Chapel church you go to. I’ve been in some Southern Baptist churches where the worship was more what we might call charismatic — with hands lifted up, singing loudly the praises of God — than some Calvary Chapels I’ve attended. Choosing to maintain a joint affiliation sums up who I am as a minister. My roots are from Calvary Chapel, which is where I came to faith. But I found a great fellowship of other brothers and sisters in SBC as well. Realistically, I cross a lot of denominational lines. In years past, I’ve worked with Anglicans, Assemblies of God, Presbyterians — fill in the blank and I’ve probably worked with whomever in evangelical orthodoxy. These are minor differences. We can accomplish a lot when we work together and pray together. The Stream: A prominent SBC leader has been caught up in troubling headlines lately. Do you consider the #MeToo movement a wake-up call for the Church? Laurie: Of all people who should be having the greatest respect for women, it should be those of us in the Church. For anybody who has denigrated a woman or taken advantage of her, especially morally, this is an aberration — it is wrong and a great sin. In Christ, we are all equal. The Bible says, In Christ, there is neither male nor female, bond nor free, Jew nor Gentile — I would add black or white. We are all equal at the foot of the cross. The Stream: A recent Gallup poll shows 73 percent of Americans believe religion is losing influence in our culture. How do you respond? Laurie: It’s an interesting stat. Maybe what has been perceived as traditional Christianity is losing influence. One of the largest religious groups in America today is called the Nones, people who are often into spirituality but not part of a church. You could say we’re losing ground, but in other ways we’re gaining ground, though it may not be as obvious. In an expression like Harvest America, to have 350,000 people two years ago participating in an event and 25,000 coming to faith — that has significance. We are told by Jesus to go into all the world and preach the gospel. The reality is, a lot of us are not doing this. The traditional approaches may be losing ground, but more creative stealth approaches may be working more effectively. Look at the huge success of the film I Can Only Imagine in theaters. It outpaced the box office of many Oscar-winning movies this year! 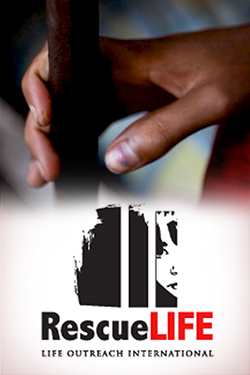 More people went to see this faith-centered film. In certain avenues of culture, we are gaining ground right now. The Stream: What do you believe is the ultimate purpose for followers of Christ? Laurie: God has placed us on this earth for three reasons. The mission of the Church, and really the Christian individual, can be summed up in three words: upward, inward and outward. First, we are here to have a relationship with God and bring glory to him. No matter what we do, God wants us to bring glory to his name. Number two, we are here to be an active, vibrant part of a local church. We build up other believers and let other believers build us up. We discover our spiritual gifts, then develop and use them in the church. Thirdly, we are here to evangelize the world. We are told by Jesus to go into all the world and preach the Gospel. The reality is, a lot of us are not doing this. 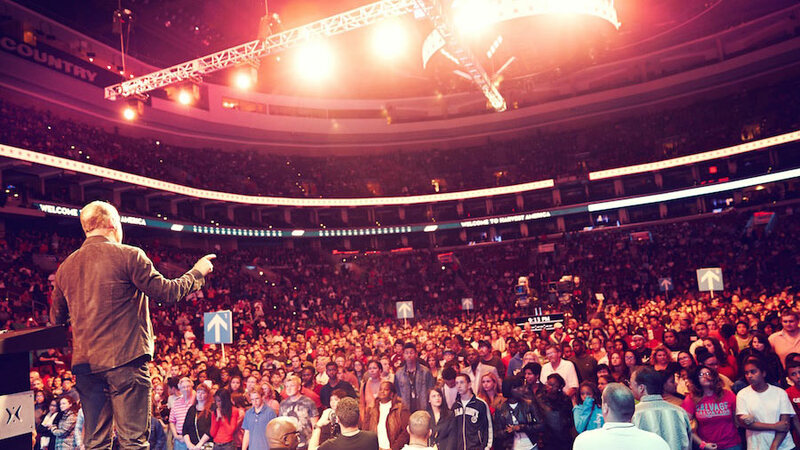 I hope a lot of people utilize this opportunity we have with Harvest America to bring the Gospel to more people. Tell a friend about this event. Mention the music artists we have coming, from award-winning rock band Switchfoot to America’s worship leader Chris Tomlin. Invite them to participate. If you’re within 100 miles of Dallas, bring them to AT&T Stadium. If you’re not, have them come to a host site — perhaps at your church or home. Invite people over and watch the event live as it’s happening. As the Gospel is going out at the stadium, it will be going out to them as well. Then you get to do the follow-up. Watch the video below and learn more about how to participate in Harvest America on Sunday, June 10.